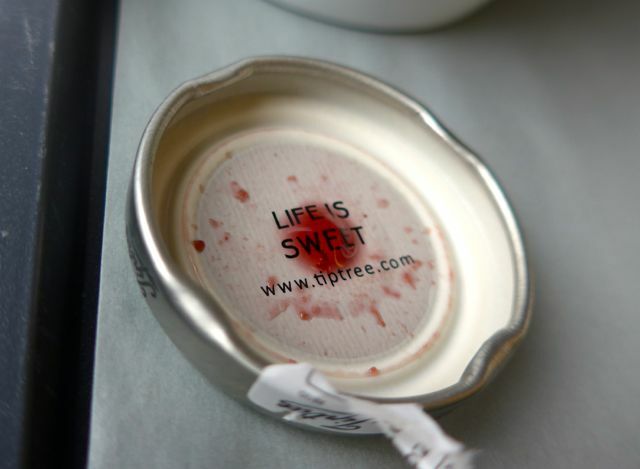 “Life is Sweet” — that’s the message under the cap of a mini-bottle of raspberry jam that I opened up to enjoy with some croissant on our journey from London to Paris aboard the Eurostar. I couldn’t have said it any better. 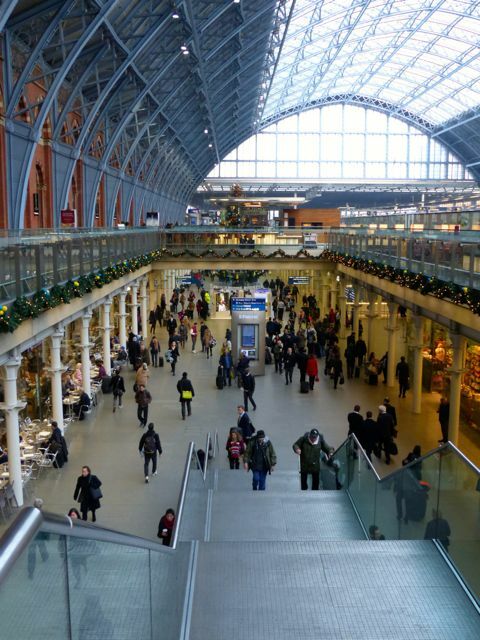 We flew from Manila to London non-stop on Philippine Airlines, spent one night in London and headed to St. Pancras station the next morning to catch a train to Paris. Neither Mrs. MM nor I had ever taken this route before, so this was something new. A friend had counseled to book “Standard Premier” seats, not economy and not business, and they were very comfortable, with enough space for our luggage and coats. 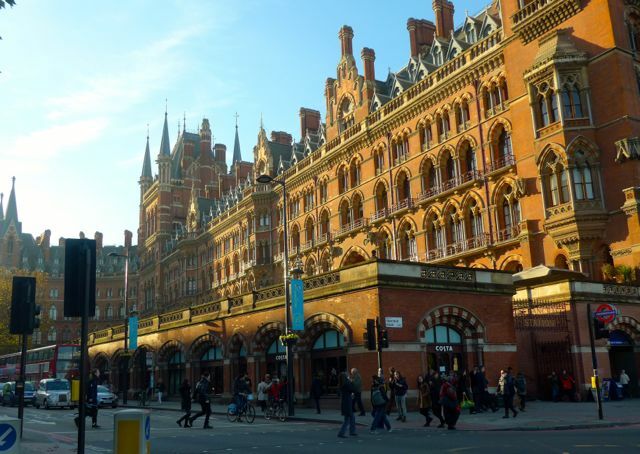 St. Pancras station in London is quite spectacular, and boarding the Eurostar was extremely easy with minimal lines for baggage check and immigration. The station itself, with its glass canopy, is a beautiful structure. All sorts of stores and restaurants line the ground floor, along with this wonderful fresh Christmas tree, all decked out for the holidays. 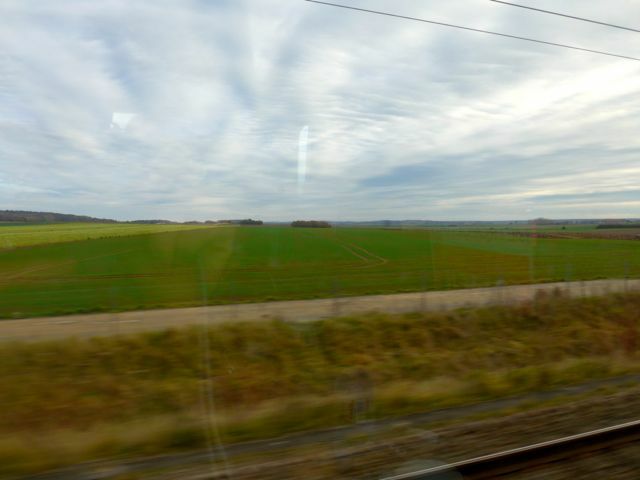 We headed through the suburbs of London and quickly to open fields, and Mrs. MM and I noticed that the views after crossing the tunnel (say 17+ minutes UNDER WATER) to France were far more pastoral and beautiful. Perhaps the part that the Eurostar crosses in England is just not representative of the rest of the wonderful English countryside. 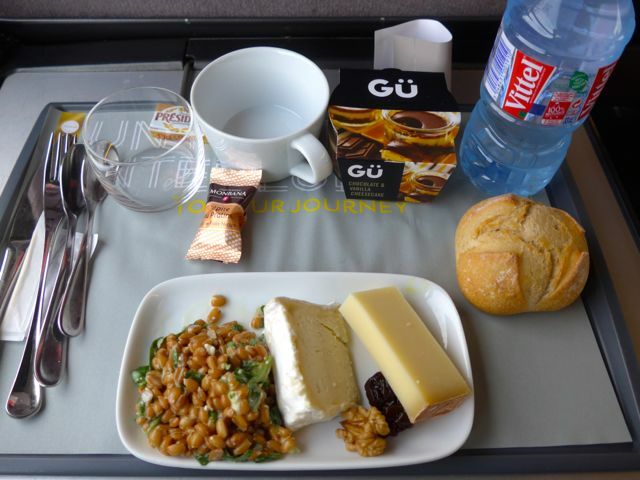 On the way back from Paris, the lunch meal served was even better than the breakfast on the way over. Sea bream with a rice salad and curried cauliflower for me and some cheese and a wheat berry (I think) salad for Mrs. MM. Lots of bread and the pudding (dessert) was pretty darned good. 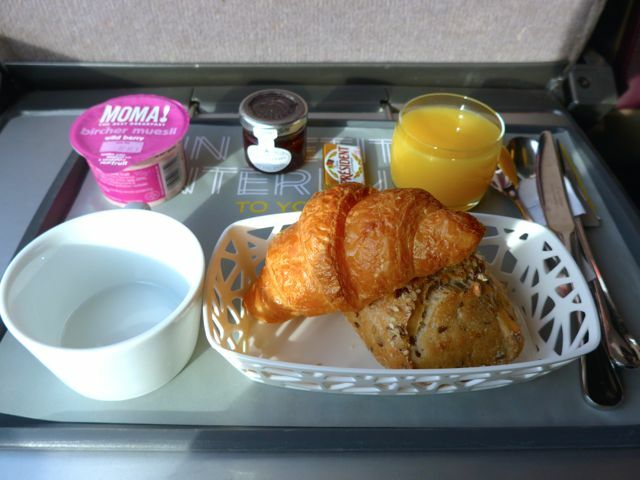 Trust the French, who operate the trains, to have good eats. Though the Paris train station, Gare du Nord, wasn’t quite as nice as its London equivalent. Of course the one caveat is the luggage — it’s only as much as you can reasonably manage. And you have to lift your stuff onto the train as well. We were good and packed just one medium sized suitcase with wheels on our way over (leaving another suitcase at our London hotel) to Paris, and we resisted the temptation to put food item after food item in our return luggage (not to mention the cooking equipment stores!!! ), but of course like true Pinoy travelers we had a large empty duffel bag in the suitcase for the return trip. This is what I looked like with ALL of our luggage coming back from France. P.S. I plan to write these posts in chronological order, so you can see how the trip progresses, though of course I have edited out a few things along the way. Wow! Making memories again with Mrs MM? Excited for the rest of the posts! Rona Y, DARN, if I had only known… shucks, next time. Thanks SO MUCH for that link. Hi MM – I’ve been very busy and haven’t visited your page for quite a while. I see that I have a lot to catch-up on. Hopefully, sometime this week I can sit down and enjoy a cup – a very large cup -of coffee while reading your posts. Cheers! thanks for sharing your travel pics. very educational and informative. We’ve contemplated doing this ourselves, take PAL to London then Eurostar to/from Paris. May I ask how much the Standard Premier seats cost? You might have enjoyed the english countryside better if you took a bus to Dover for the ferry to Calais. So many beautiful views along the way with the added bonus of seeing the white cliffs of Dover. ami, the fares range from US$120-170+ per person depending on time of departure. Count on say $260 RT if you travel slightly off-peak hours. 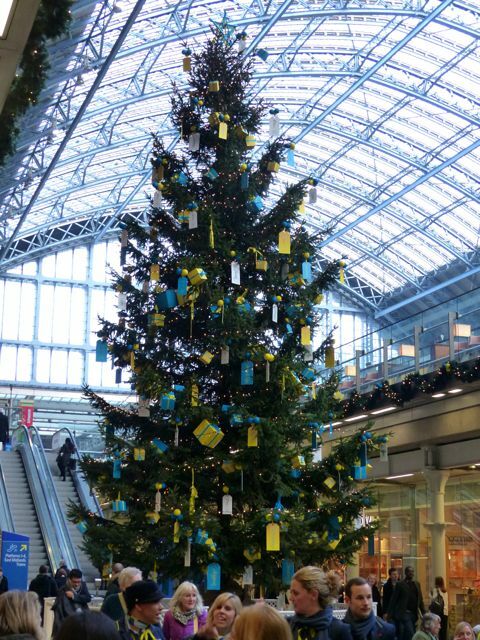 I took the Eurostar from Paris to London a year ago. Economy was okay but didn’t have food. I only had a backpack with me so it was fine. 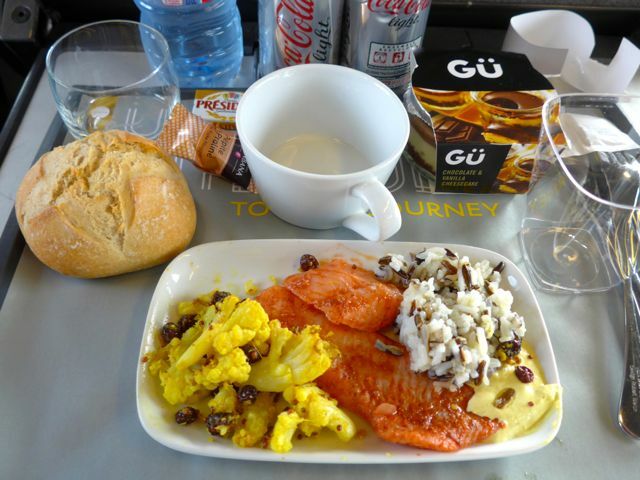 The meals they served during your trip look delicious. Looking forward to the rest of your Paris entries. 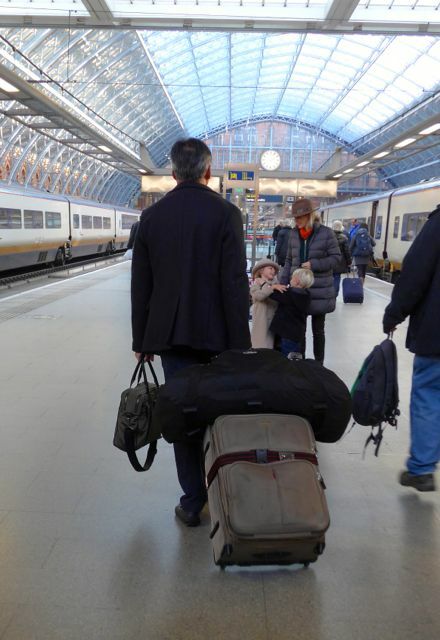 One or both of us travel regularly by Eurostar and other trains–Thalys, TGV, ICE, locals. I really don’t think that paying above economy prices is worth it for the very quick trip between London and Paris (or Brussels); economy is quite comfortable, especially if you choose your seats well. We (or I) always pack a meal better than that served on the train–that is, if we even expect to be hungry. The London/Paris run is fast enough that one can go into Paris for a matinee and dinner and be back in London the same evening. There are other trains that cross the Channel though via ferry links, such as the Dutch Flyer (for those of you travelling with dogs, this is the way to go). Eventually (we hope!!!) there should be the planned Deutsche Bahn extension of its ICE (inter city express) trains to/from London and either Frankfurt (via Cologne) or Amsterdam (via Rotterdam). Prices on all of the trains do vary quite a bit depending on how far in advance you book your seats, so it pays to plan ahead. And look out for discounts especially on DB which can be considerable. 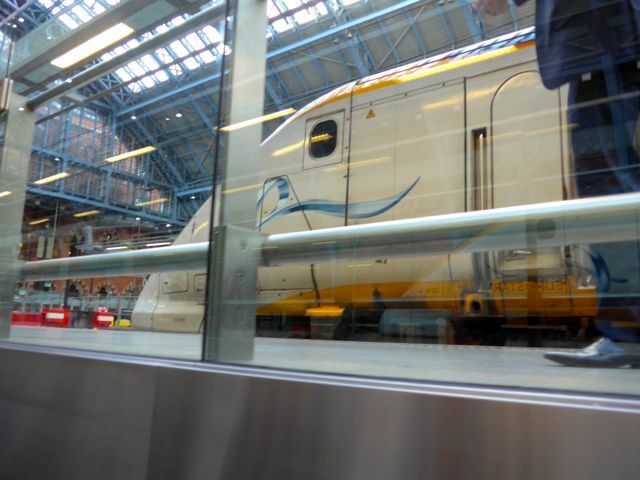 Not aiming to fly the British flag, but the Eurostar is jointly owned by the French and the Brits and as such is operated separately from the SNCF (French railways). The upmarket British supermarket chain Waitrose supplies the food in the buffet cars. I also notice that your Gu pudding is a British brand…. Totally agree that Gare du Nord is a dump compared to St Pancras. Dr Nick, thanks for that correction, I obviously was misinformed and should have checked that fact. Will edit post now. Thanks. Good Shepherd Peanut Brittle, Ube Jam, etc.